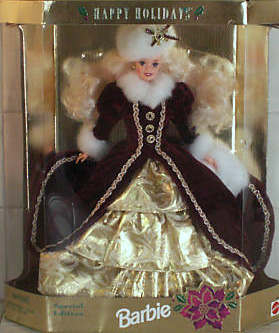 The 9th doll in the first holiday Barbie series was 1996 Happy Holiday Barbie. 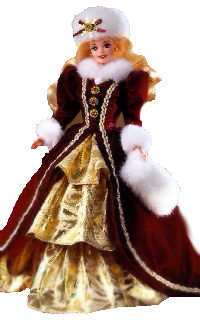 Barbie had a different look for 1996 in a Victorian style burgundy velvet coat trimmed in gold braid with white faux fur at the neckline and cuffs and a gold tiered full skirt underneath. 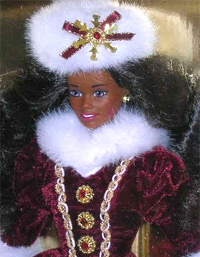 She has a matching white fur hat and muff. Her box is also gold.